7 News Pakistan reported from onsite at the 2017 World Grand Prix Koshiki Tournament held in Shin-Urayasu in November 2017. The tournament was a great success as shown by the video. Shihan Henderson performing center refereeing along with Shihan Andrew Riley. 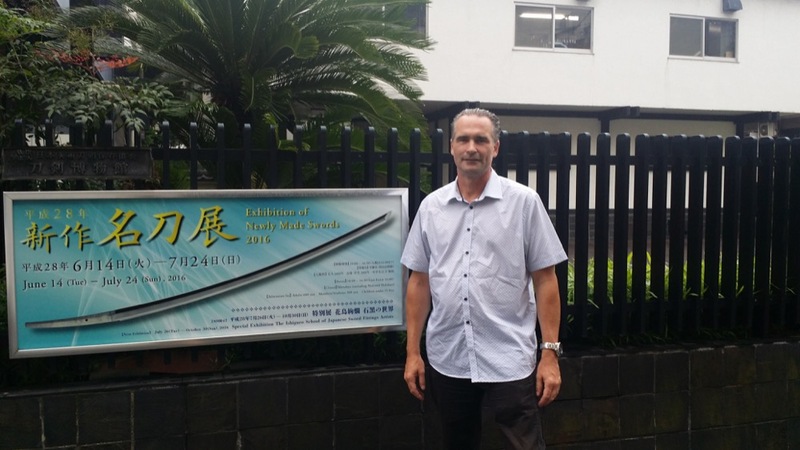 In July and August 2016 Shihan Henderson and Sempai Migneault visited Japan for 35 days. Over 50 training sessions were completed along with visiting lots of important sites. Kyoto, Tokyo and Nigata were on the schedule. We wish to thank Hanshi Hisataka and Shihan Masamitsu Hisataka for their generosity during the visit. It was a wonderful experience and we hope to visit again soon. Final Class With Hanshi Hisataka And Shihan Masamitsu Hisataka. 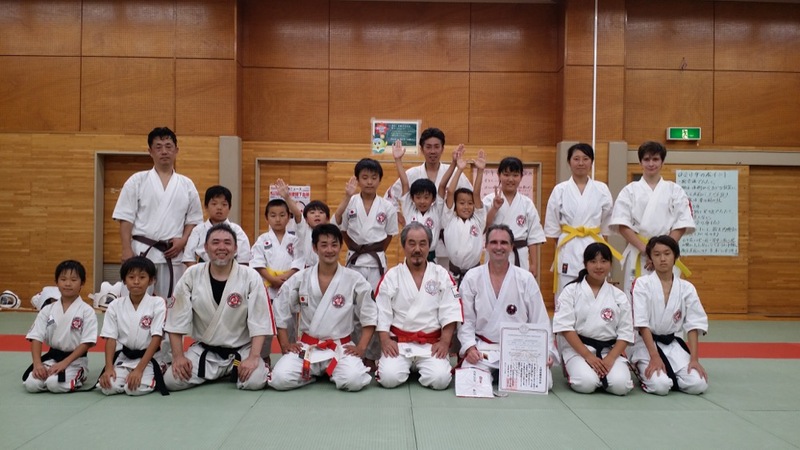 Shihan Henderson Being Presented The Rokudan Certificate in Koshiki. The children were always wonderful, we will miss everyone very much ! Shihan Henderson demonstrates Kata Happiken. this kata was developed by Shihan Masayuki Hisataka for Shorinjiryu Kenkokan. In 1991, I had the pleasure of visiting the Shorinjiryu Kenkokan Hombu dojo in Tokyo for a short visit while touring Japan. While there I had the good fortune to meet with Shihan Des Paroz from Australia and formed a relationship that has lasted through the years. 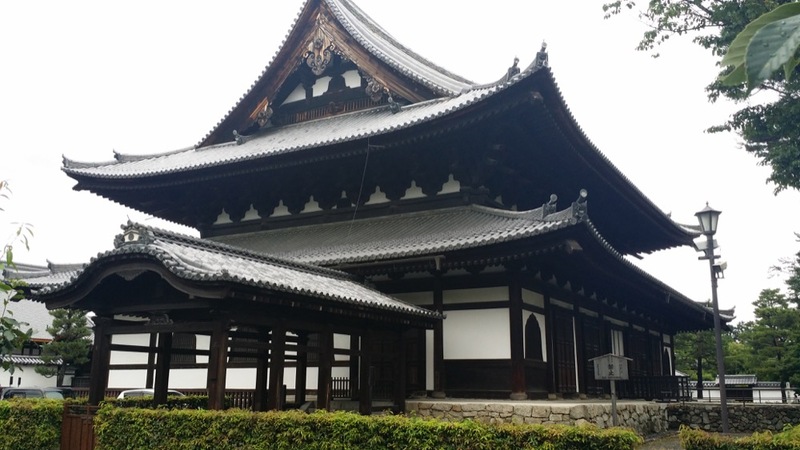 The Hombu dojo and Japan in general was a very new experience for someone from North America whose only other travel had thus far been to Europe. The sounds and the sights were all very different and it had an interesting effect of heightening the senses trying to take in all the new information from this seemingly strange environment. Meeting Sensei Masayuki Hisataka in Japan and seeing the Hombu was a joy. I had previously met him in Montreal at the Dawson College Kentokukuan dojo in the mid 1980s. During my short stay in Japan, I would be able to spend a few classes training under Sensei Hisataka and getting a feeling for the difference in his approach and the variation due to the environment. After the warm-ups of the first class were completed and as we began kata practice Sensei Hisataka approached me and asked an important question that all Karateka ask themselves at some point in time when considering kata practice. He asked: “What is your favorite kata”? Having a sense of propriety and considering that it was my favorite kata in any case I responded with “Naihanchin”. With this Sensei Hisataka asked that I demonstrate the kata for him so that he could evaluate. Naturally, without hesitation I bowed and began the kata and completed the first side after which he stopped me. As a recent Shodan I nervously waited for his comments. At this point, Sensei Hisataka gave an agreeable look and then proceeded to tell me to replace all the horse stances in the kata with reverse cat stances. As you can imagine, as a recent Shodan I found this very perplexing. Firstly, I had always done Naihanchin kata with horse stances and replacing them with reverse cat stances felt very weird. Was Sensei Hisataka in his right mind, I thought to myself. My thought process continued that there was a correct and an incorrect stance to use in the kata and replacing the correct stance (horse stance) with an incorrect stance (reverse cat stance) just didn’t make any sense to me. Nonetheless, I continued with the exercise until the kata section of the training was ended. Once ended, I filed the exercise in my mind. 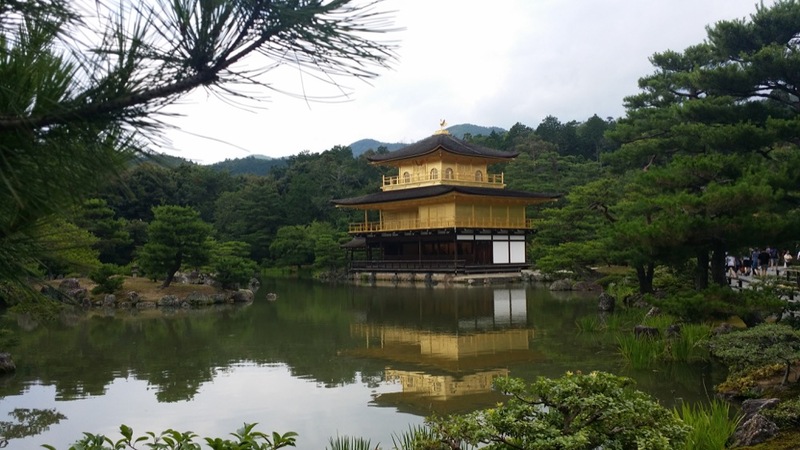 Within a week’s time I was traveling again around Japan on my own with a million new distractions and diversions to attend to and the kata lesson was quickly forgotten. After returning from Japan back to Canada I continued my Karatedo training and also began my professional career. The years passed by and success came both professionally and in the martial arts. The experience at the Hombu dojo remained with me as a special event and unknown to me the lesson that Sensei Hisataka had requested of me would be the start of a deeper understanding of kata training and Karatedo training in general that I would only come to understand sometime in the future. When we start our Karatedo training we are looking for definitive answers from our teachers. Our Senseis are the fountainheads of martial arts knowledge and when we are stumped we look to them for guidance and exactitude. At a young age the world is often seen as black or white and we expect the same kind or classification within the martial arts. When studying kata we expect to be told which technique goes where. When we don’t know or more likely when we have forgotten we run to our Sensei and ask for clarification which is usually quick and satisfies our need to know, any confusion is quickly erased and replaced with certainty. Moreover, when we take part in competitions the judges deduct points for the wrong technique at the wrong time. Both the certainty of the Sensei and the rules of the kata competition reinforce within us the understanding that there is definitely a correct technique for a correct moment within the confines of a particular kata and it is our job to learn the timing and occurrence of those correct techniques. As I grew in my own karatedo and kata training, I started to teach my own students how to modify the katas that they were studying in order to see new aspects of the learning. At first, this modification would focus around varying the speed of the kata: fast versus slow. Next, it would focus on varying the power of the techniques within the kata: hard versus soft. Lastly, it would focus on the amount of space being used to execute the techniques of the kata: large versus small. Varying the kata’s emphasis along these attributes I believed showed the practitioner that kata was not something carved in stone or immutable. Kata is a living thing something that is mutable by the practitioner and something that can become and reveal new understandings depending on how the kata was interpreted and executed. Some of my contemporaries, such as Shihan Max Mastrocola, remember my teaching of “Hotel” kata. This was in response to students who would complain that when they traveled they could not train kata because they would not have enough space. My response would be that you only need a 5 foot by 5 foot space and I would show them how to complete a kata not moving off of one spot. Only needing one spot for the kata one can train in the smallest of hotel rooms! Up until this point the variation in the kata training focused on speed, power and distance. The actual techniques within the kata were not modified. This point in time in my teaching career with respect to kata lessons can be represented by the graphic below where the practitioner places themselves on the graph with respect to the two attributes of: power and speed. 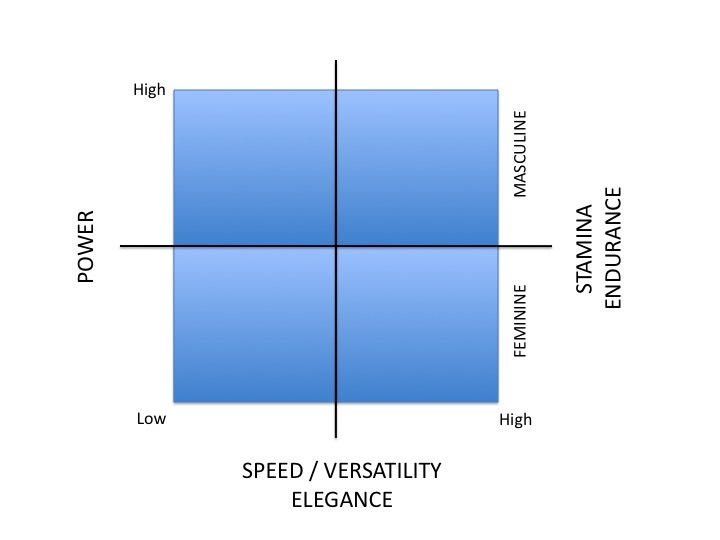 The graph then illustrates whether the techniques are predominately masculine or feminine along with the resulting level of stamina or endurance that can be expected if that combination of power and speed were to be maintained. 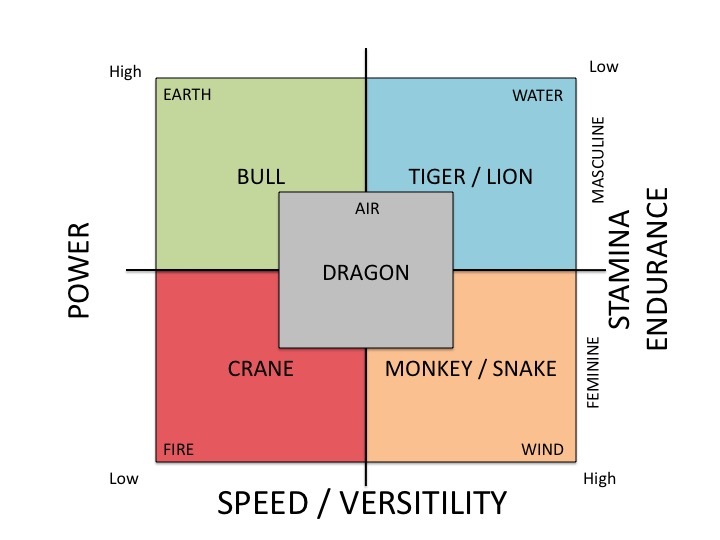 Thus, the graph is both descriptive as well as prescriptive in so far as it can be used as a key to explain the elements of the kata (speed & power) as well as prescribe the overall nature of the kata (masculine or feminine) given the combination used. As one might see the attribute of distance of the technique, whether the kata is performed in a large or small space is not represented on the graph due to the nature of the two dimensional representation and the practitioner simply needs to overlay this attribute in their mind’s eye. As I continued to progress in my own training and teaching I would return to the lesson of Sensei Hisataka in Japan asking me to replace all the stances of Naihanchin kata with reverse cat stances in place of the typical horse stance. What I came to realize is that he was teaching in the same manner as myself but he was focused on varying the stances and techniques in place of varying the power and speed of specific techniques as I had done. Two different approaches with the same type of pedagogy in mind: to expand the mind of the student to new interpretations. For completeness the graphic above also illustrates the elements of: water, fire, earth, wind and air as presented by Sensei Hisataka in his training manual “Essential Shorinjiryu Katatedo”. These elements are not discussed in this article as they are considered more mythical and esoteric than practical and useful for the sake of kata and karatedo training purposes. It is also probably important to note at this time that any representation for illustrative purposes is essentially that, a representation, and has its limits and should be taken in the spirit of sharing and further understanding. There is always the possibility for debate, discussion, relabeling and reinterpretation. Again, as a pedagogical tool the above graphic can be superimposed with the actual techniques that are most suitable for each quadrant. Students can vary the speed and power of their kata and marry those to specific techniques in order to produce a variation of a kata that is more appropriate for each quadrant. Specifically speaking and using our example of Naihanchin kata earlier discussed, Sensei Hisataka had us replace all the horse stances from the Bull quadrant to reverse cat stances in the Crane quadrant. He moved us from the Sankyo teaching to the Nikyo teaching. His shift also changed the nature of the kata from a predominantly masculine one to a predominantly feminine one. The speed or cadence of the kata remained the same but the power employed within the techniques was modified from high to moderate or low. Students and teachers can mimic the same kind of changes or modifications using this graphic by replacing techniques from one quadrant to another for each kata considered. This final graphic enables the intermediate to advanced karateka to have a better understanding of the nature of their techniques and how they can be interchanged in order to derive a new understanding of a particular form. Better understanding comes from not just knowing to change the speed and power (and distance) of techniques but in understanding the change in the attitude of the technique and how feminine and masculine techniques compliment each other in a ying and yang fashion. Moreover, kata forms are taught in a way that emphasizes a certain quadrant (its dominant nature) this is most likely for simplicity of teaching, i.e. : pedagogical reasons. But that does not mean that the kata must solely be that way. Replace the default techniques with techniques from a different quadrant and experience how the kata changes its nature, and how you as the practitioner is also changed by the kata. Otherwise said, kata practice is a type of alchemy. By changing the base elements of the kata the ultimate nature of the kata is changed and the practitioner performing the kata is thereby changed. This alchemy ultimately leads us to the Gokyo training appropriately represented by the mythical Dragon. Studying the martial arts means studying the nuances and interactions of a myriad of techniques not just mastering one set of techniques, i.e. : hard or soft. Mastering the martial arts means understanding how all techniques interact and interchange, not just through speed and power, but in deriving a new attitude and character. Understanding the relatedness of the techniques and how the attitude of a particular technique or group of techniques express themselves is where the true mastery of Budo lies. Being able to recognize and assume different attitudes in a fighting situation and have that attitude expressed in variations of speed, power, distance, versatility, elegance, stamina and endurance at will is the goal of all martial artists. The above graphics are a tool that can be used in trying to better understand the various stages of the learning process and ultimately achieve the alchemy and mastery of the Gokyo level of training. 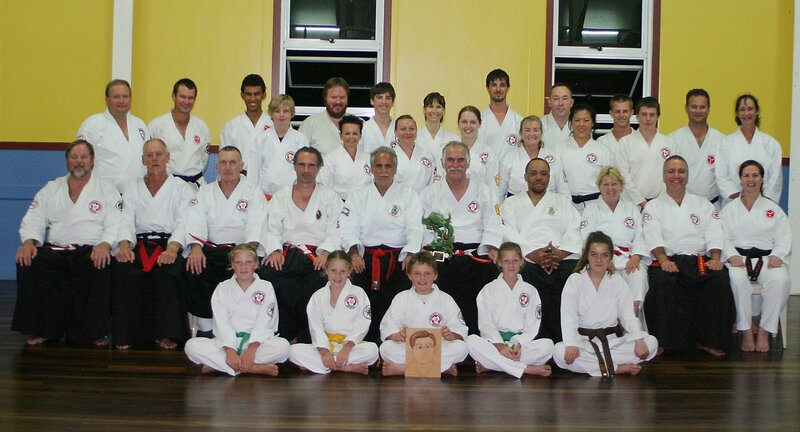 During the week of April 16th Shihan Henderson visited Australia for the 35th Anniversary of Shorinjiryu in that country. Dojo visits and a training camp were attended. Many students received promotions. In particular, we would like to congratulate Shihan Jim Griffin on receiving his new title of Kyoshi, Shihan Max Estens on receiving 7th Dan, Renshi Des Paroz on receiving 6th Dan and Shihan Title, Sensei Leslie Griffin on receiving 6th Dan and Shihan Title, Tashi Graeme Bowden on receiving 5th Dan and the Renshi title. All in all a tremendous display of Budo dedication by everyone involved. 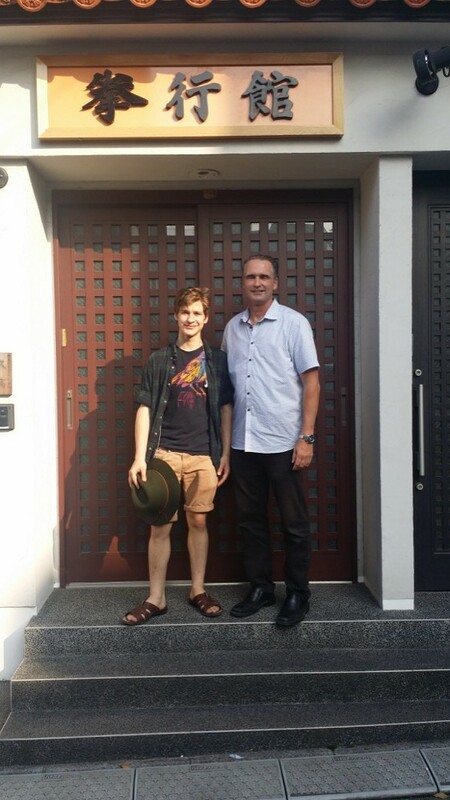 We would like to make a special thank you to Kyoshi Jim Griffin and Shihan Leslie Griffin for their tremendous hospitality and effort in welcoming Shihan Henderson to Australia, Bribie Island and the surrounding area. 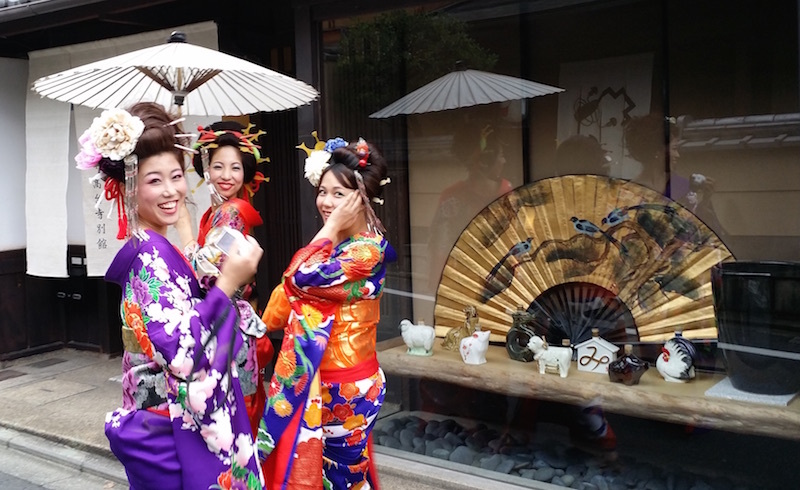 The students of Shorinjiryu Australia showed hard work and perfect etiquette throughout the week events and helped to make all the events truly enjoyable. We are saddened to see the 35th Anniversary events come to a close, but we look forward to visiting them sometime soon again to continue to share in the exchange of Budo and the development of each student and teacher alike. You May Visit The The Australian Shorinjiryu Blog Entry Here! Presented below ia a recently captured film of Shihan Masayuki Hisataka performing kata Kusanku. The year is 1972 believed to be at Loyola College in Montreal West, Quebec.